We are really excited to announce that a social housing project featuring a Mobilane green screen has been endorsed by the Green Organisation, a UK based group dedicated to recognising environmental best practice around the world.The Houghton Street project in Widnes, Cheshire for Halton Housing Group scooped a Silver Green Apple Environment Award for its strong green credentials. Designed by architectural practice Denovo Design, the aim of the residential development was to create green homes with a contemporary edge. In order to foster a sense of community and to ensure that people could keep an eye on one another’s properties, the various homes were designed so they were inward-looking. This resulted in the rear gardens of two bungalows facing on to a main road. Rather than erect a timber fence or brick wall, which could fall foul of vandalism or graffiti, Denovo Design opted for a Mobilane ‘living’ screen. Installed by Lovell and measuring 180cm in height and 51m in length, the screen provides a striking first impression to people visiting the new build development. 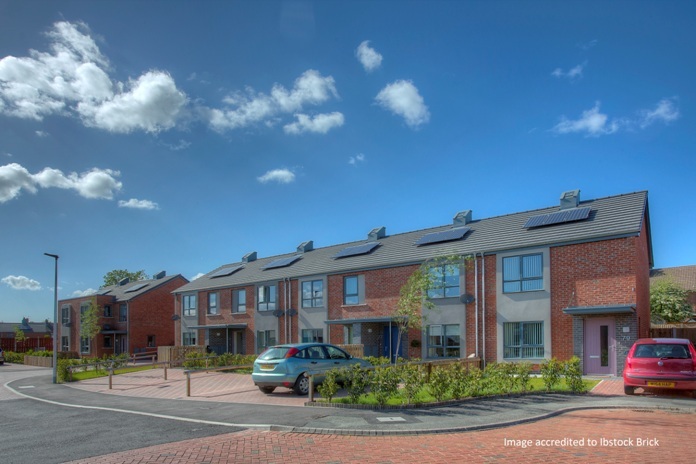 It also sets the tone for a host of environmentally friendly features that have been incorporated into the affordable housing development and helped contribute towards valuable points in the project’s Code for Sustainable Homes Assessment. As well as it deterring potential graffiti artists, the architects chose the green screen because it provides a natural habitat for wild birds and insects, and is low-maintenance. Another feature of the green screen is that it absorbs harmful microscopic particles that are generated by motor vehicles. The Green Apple Award was presented to Denovo Design by Doreen Lawrence at a ceremony held at the National Self Build and Renovation Centre in Swindonon 24 July.